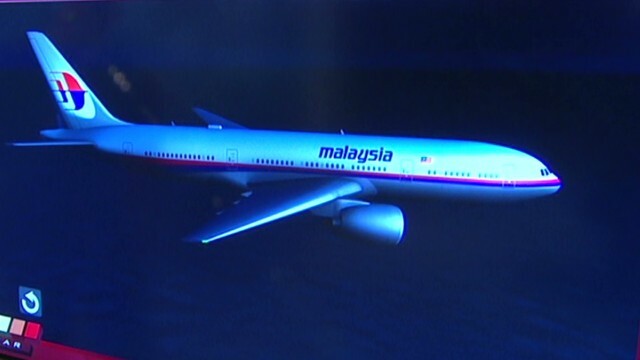 The entire world is startled and mystified by the events surrounding Malaysia Airlines Flight 370. Also known as the China Southern Airlines Flight 748, it was bound for Beijing with 227 passengers and 12 crew member. Unfortunately, it didn’t reach its destination. Up until now, the cause is still unknown, primarily because the plane hasn’t been found, even if there’s been coordinated rescue and recovery efforts from Malaysia, Vietnam, China, United States, Singapore, and the Philippines. So far, this is the first major aviation disaster of the year. But before it are many more, thereby putting a level of doubt in the safety of air travel. As this posting, the flight from Kuala Lumpur has not been found. 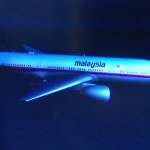 Why: On the news because of the fact that the passenger plane has not been found four days after its last communication. There have been many aviation disasters all throughout history. Some are accidents while others are incidents caused by malicious intent to harm and produce terror. But whatever the cause is, the thing is those belonging to this list are not just the most intriguing when it comes to catching the public’s attention, they also are the top five when it comes to the number of casualties. We haven’t included those caused by terrorist attacks and similar scenarios. This disaster was a result of a fatal collision between two Boeing 747 planes that happened on the runway of Los Rodeos Airport in Tenerife, the Canary Islands. It is officially recorded as the deadliest accident in aviation history with a total of 583 fatalities. The two aircraft involved in the accident were the KLM Flight 4805 and Pan Am Flight 1736. The Japan Airlines Flight 123 was a domestic passenger flight bound for Osaka International Airport. Scheduled on August 12, 1985, the plane suffered mechanical failures less than twenty minutes from the take-off. In thirty minutes, it crashed into the ridges of Mount Takamagahara. 15 crew members and 505 passengers died on site, with only four survivors. The numbers speak for themselves – history’s deadliest single-aircraft accident. The Charkhi Dadri accident in India in November of 1996 is quite infamous because no one survived it. It’s actually a mid-air collision involving two passenger planes, namely the Saudi Arabian Airlines Boeing 747-100B and the Kazakhstan Airlines Ilyushin Il-76. It is referred to as the world’s deadliest mid-air collision and the third deadliest aircraft accident in history. On March 3, 1974, 346 people on board the McDonnell Douglas DC-10 Flight 981 of the Turkish Airlines never thought it would be their last flight. It crashed outside the city of Paris, in the forest of Ermenonville, hence the term “Ermenonville air disaster.” It is recorded in history as the worst in France’s history and the second deadliest for a single-plane crash in the history of aviation. One of the most recent was that of the Iran Ilyushin Il-76, which happened in the 19th of February, 2003. The plane was flying from Zahedan going to Kerman when it crashed in the southeast region of its destination. One reason why this accident was very costly was because the plane was carrying members of the Islamic Revolutionary Guard, more like a Special Forces group in the Iranian Armed Forces. If you are planning to travel by air, remember that there’s always an increase concern on safety, especially with the recent news on the Malaysia Airlines Flight 370. While mechanical problems and terrorist attacks are scenarios that are beyond your control, there are still some valuable measure you can do in order to be safe during the travel. Air travel safety is always better on non-stop flights. This is because there are fewer take-offs and landings, which in turn means lesser risks of accidents. You will want to travel on larger aircraft. The main reason for this is because larger capacity planes have a higher survival rate in case an accident happens. This is why most people will opt for a major airline instead of a budget-oriented small company. Listen attentively to the flight attendants while explaining air travel safety. Most passengers, especially those who frequently travel by air won’t mind them. However, you have to make sure you know what to do in an emergency situation so never take those instructions for granted.